« BTBaTB Ep 42: The Last Patrol! BTBaTB Ep 43: Menace of the Madniks! 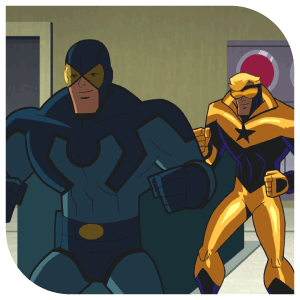 When Booster Gold uses time time travel to go back in time and visit his currently-deceased friend, the Silver Age Blue Beetle, he throws the timestream into chaos and needs Batman’s help to resolve things.